What is happening in the Mediterranean? The Mediterranean Sea crossing is now deadlier than ever. One out of every 267 migrants crossing the sea died in 2015 and by 2017 the number had risen to one out of every 57 – and according to UNHCR between January to June of this year, one out of every 18 migrants have died attempting the crossing. While most of the focus has been on the decreasing numbers of migrants attempting to cross the Mediterranean, the images of drowned families that brought worldwide outrage in 2015 continue to be a reality on our shores. As recently as October 28th, the lifeless bodies of two children were found off the coast of Spain. So what is happening in the Mediterranean? Below we take a quick snapshot of the emerging trends and current climate of migration across the Mediterranean. There have been increasing difficulties for non-governmental organisations and civil society organisations trying to operate search and rescue (SAR) operations in the Mediterranean. SAR has become progressively politicised in recent years and active collaborations between Southern European countries and North African governments, administrative and bureaucratic constraints, as well as a reluctance to allow vessels to dock at ports are common obstacles found among SAR organisations. In June of this year, the boat Aquarius became stranded at sea for over two days after both Malta and Italy refused to let the vessel, carrying 630 people on board, dock and disembark. In August, Diciotti – the Italian coast guard ship – was also stranded at sea for five days after the Italian authorities initially refused to allow it to disembark. In late September, the Aquarius – by this time the last private rescue ship in the Mediterranean – was stripped of its Panamanian flag following months of EU pressure. Of the three main routes that migrants usually take, the Central Mediterranean Route (CMR) has been the deadliest this year, with 1,267 reported deaths so far. People attempt this crossing by departing from Libya, where over 1.3 million people are in dire need of humanitarian assistance. According to the UNHCR, migrants and refugee in Libya are in unsafe living conditions, suffering, with little or no access to health care, safe drinking water, shelter and food. As a result, people arrive in Europe extremely weak and in poor health conditions, something that has significantly increased in recent months. For 2018, on the other hand, the Eastern and Western Mediterranean routes have a reported death toll of 564 and 156, respectively, with the Western Mediterranean Route (WMR) becoming the most popular among refugees and migrants. In addition to the above a new trend is emerging in the absence of adequate SAR presence at sea. As described by the mayor of Lampedusa in a recent interview, 2018 has seen an increase in the number of vessels arriving directly on European soil (such as in Lampedusa, Sicily and Malta), having made the crossing from Libya undetected and unsupported. These ‘ghost boat’ arrivals raise many concerns both from a humanitarian and security perspective; the physical condition of passengers having made this journey is significantly deteriorated and there is an increased likelihood that these passengers will not be identified and processed properly before disappearing on land (having not gone through the disembarkation procedures typical of the SAR vessels). The ‘ghost boats’ being reported show a reduction in numbers on board (from approximately 100-200 per boat to as few as 15 on smaller vessels) also points to a real concern that larger vessels are simply not making it this far and that people are being lost at sea by the hundreds. Migrants driven by, among other things, violence, natural disasters, and political and socioeconomic instability, continue to attempt the crossing daily, facing dire obstacles throughout the journey. With no search and rescue vessels operating in the Mediterranean, death toll numbers are only going to increase. 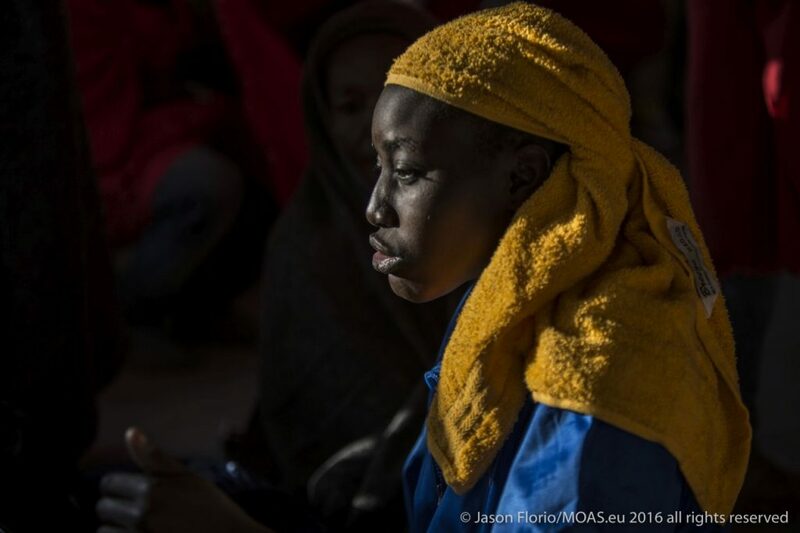 The UNHCR and IOM have called on European States to strengthen refugee access to protection and to ensure there is a consistent and predictable approach to SAR. Despite migration being a top priority in the European policy spectrum, most of the focus seems to be on building stronger border enforcement measures. MOAS was the first civil society organization to provide Search and Rescue services for migrants in the Mediterranean. Always abiding by both International Maritime Law and jurisdictional guidelines and regulations, MOAS rescued over 40,000 children, women and men during its four years in the Mediterranean and welcomed new SAR NGOs as they arrived. 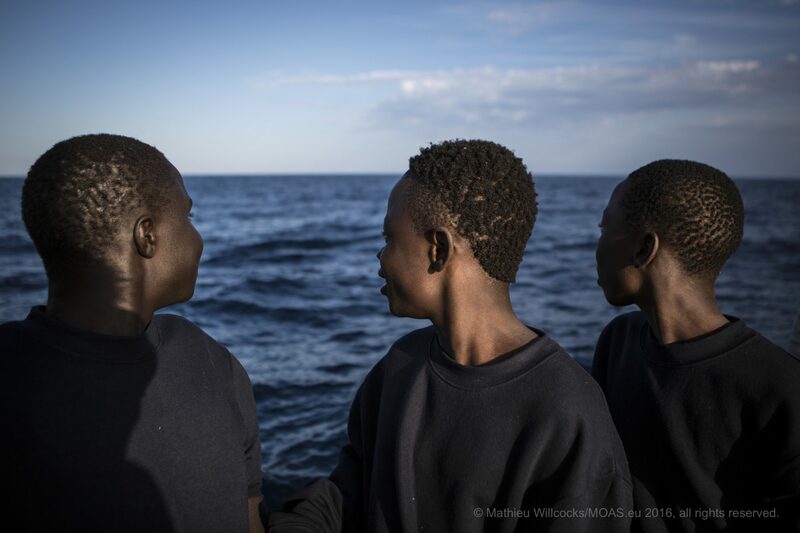 MOAS strongly believes in the need to protect the SAR space and condemns modern attempts to criminalise the rescuer, both for the purpose of saving lives as well as to increase transparency, accountability and responsibility at sea. We continue to advocate for the creation of safe and legal routes for the most vulnerable in the crisis affected community and speak up for the rights of those risking, and losing, their lives attempting these crossings. You can support MOAS’ work by donating here, or fundraise with friends to become a part of our activist community. You can also receive regular updates by signing up to our newsletter at the bottom of this page or following us on social media.